Successful marketing return on investment (ROI). The holy grail for every marketing director and manager across the planet. As a marketing director or manager, it's highly likely that you have been asked by your CEO or Board to prove the ROI of the marketing activities you are conducting. You agree to it, and then worry about how exactly you are going to get there - and how you are going prove it later! But how are you going to do it, and what information should you provide? Best practice would suggest that whatever technology you are using, you need to be in a position where you can report on a regular basis on all of the following figures and show their relationship/conversion ratios. In most cases, the last four steps of MQL, SQL, opps and closed/won, are the figures which are clearly shown from your sales CRM. 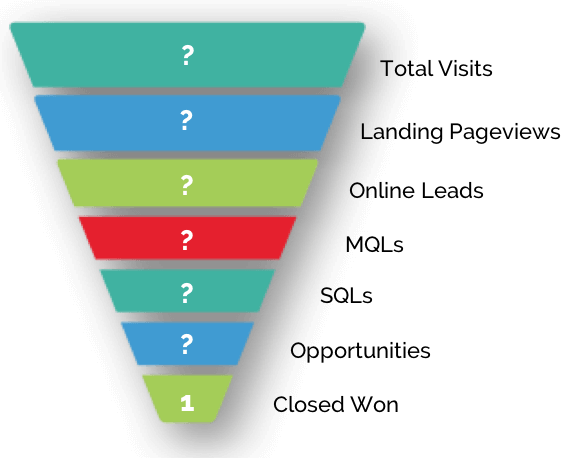 Where most organisations struggle is in providing the detailed breakdown of where their leads come from by source, and how those lead sources convert through the sales funnel. 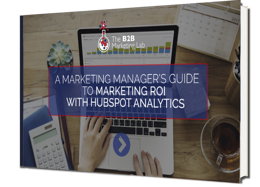 True marketing ROI is a tough goal to get to, but with help from HubSpot's reporting and lead tracking it is very possible. With HubSpot's marketing automation in place you will be able to determine exactly how many net new contacts are generated of any given time period and also monitor the progress of your leads through the sales cycle: from initial contact through lead nurture, to engagement with your sales team. Ensure you are planning exactly what you want to be measuring and not just reporting for the sake of reporting! Having an expert with you to help measure correctly and accurately is key, someone who knows the pitfalls and dangers of inaccurate data. How should ROI be reported? Using an expert will help you to decide exactly the best way to present your data. What next? The data collected needs to be used to determine future marketing decisions. Our digital analysts can help you understand the data and provide best practice recommendations . Are you currently struggling to show the ROI of your marketing activity using HubSpot? 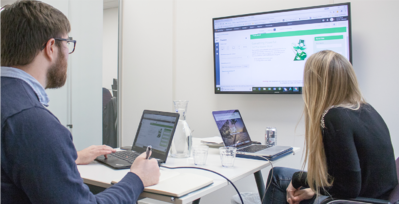 Are you finding it hard understand where you should be seeing specific bits of data, how to build dashboards and how to export data?